We’d love your help. 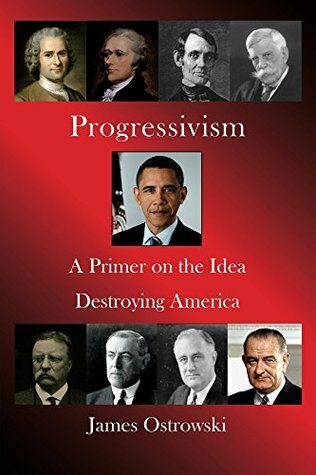 Let us know what’s wrong with this preview of Progressivism by James Ostrowski. To ask other readers questions about Progressivism, please sign up. It's truly jaw-dropping what Ostrowski accomplished with this short book. Would it have any impact on any of the progressive or conservative friends/family I know? Who knows? But it'll be fun to find out! An analytical picture of progressives. They are permeating our society. With magical thinking and lack of rational thought process, solutions are limited to present actual facts and change minds. Scary future with the quasi religious movement alleviating personal anxieties of some by taking away the liberty of others. Well defined and written but light on solutions but this may be the nature of the issue. There are many excellent points made in this book that suggest a reset of American principles are in order. Our Constitutional Republic has been slowly replaced with a system that is opposed to individual freedom and the government duty to protect our natural rights and the sovereignty of our Nation.